To perpetuate the name, history, comradeship, memories and deeds of the living and the heroic dead of the 376th Heavy Bombardment Group and its predecessor units. The 376th Heavy Bombardment Group (HBG) began with an original cadre of 231 men and 23 B-24 Liberators. Crammed with all of the repair equipment their bomb bays could hold, they left the United States in 3 separate flights of 8, 8, and 7 planes. It was May of 1942, six months after Pearl Harbor. Assigned the code name, HALPRO, the unit was originally destined to fly missions against the Japanese home islands. Fate would work against them - the Japanese pushed the Chinese bases out of bomber range, the Doolittle raiders completed their attack, and, more importantly, Rommel's Afrika Corps was seriously threatening Egypt and the Middle Eastern oilfields. HALPRO was ordered to stay in North Africa. Their first mission was flown on June 12, 1942 against the Ploesti oilfields, a target destined to become a major target for the 15th Air Force. They were joined in July by 10 B-17s, which were transferred from their bases in India. Together, they joined the fight against Rommel and the Afrika Corps. In August, these two units were merged into the 1st Provisional Bombardment Group. In November, the 376th Heavy Bombardment Group was formed. By the end of the year, the B-17s were withdrawn for badly needed repairs. They never rejoined the Group. 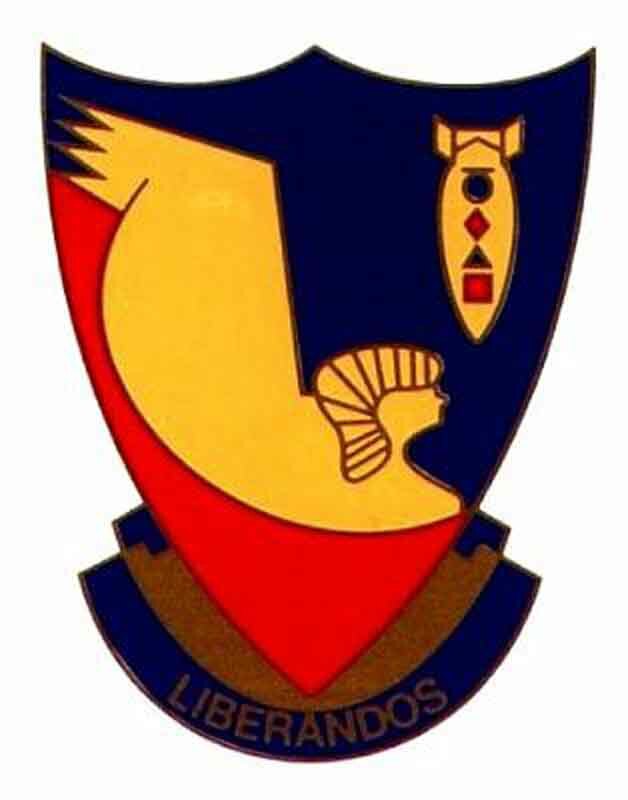 Nicknamed the Liberandos, the Group continued to operate from bases in North Africa. As the Afrika Corps slowly withdrew to the west, their bases slowly moved west. The Group continued to operate as a B-24 unit until it was re-deployed to the United States in April 1945. It operated as part of the 9th, 12th, and 15th Air Forces. The Group was credited with flying 451 missions, was awarded three Distinguished Unit Citations and earned 15 Campaign Awards. Aircrews destroyed 220 enemy aircraft in aerial combat at a cost of 1479 officers and enlisted men and 169 aircraft. I'm just submitting more pictures I have of Benshoff's crew. JACK KIRBY SERVED HIS COUNTRY FROM APRIL 1944 UNTIL OCT 1945. I don't have a story, but I have a picture of him that I would love to share. I hadn't seen the picture of him with his crew, thank you! Flew a b-24 for the 514 Sandberg Crew. Please add his picture. I promise to use it only to send you Members. This is a brief history of the 376th HBG. Pictures of the air crews are shown on this page. Ground Personnel of the 376th HBG. The history and images of the various B-24 Liberators that served with the 376th Heavy Bombardment Group. Missions flown by the 376th HBG are listed on this page. Oral Histories of the 376th HBG were taken at the 2007 annual reunion. These men were either captured or escaped capture. This page will direct you to various collections of photographs. These are the men in the Combat Camera unit. Welcome to the 376th HBG Veterans Association. These items deal with various aspects of the 376th HBG. This page presents European Research Contacts. Awards and Citations presented to our veterans.